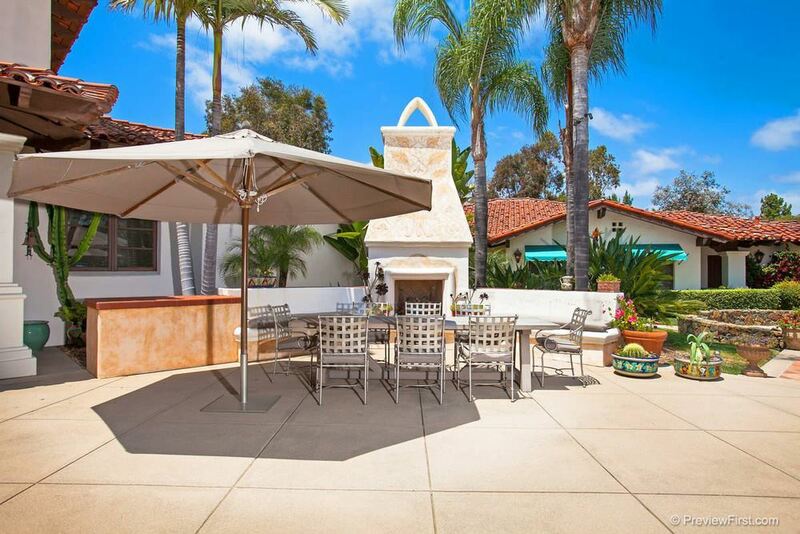 Rancho Santa Fe Estate is a beautiful, authentic Spanish home sitting on two acres of fully landscaped grounds. Included with the property are graciously-designed outdoor living spaces, fireplaces, wooded areas, park, dry creek bed and bridges. Fully gated, the estate is located within a guard-gated secured area of Rancho Santa Fe, California. Among its many unique, innovative, custom features are hand-wrought decorative iron work, antique pine flooring, artistically carved stone mantels, and stately fountain entry.